The BS6 compliant Honda Activa will be equipped with Fuel-injection system. New generation Activa to compete Hero Destini 125. First reported by Motorbeam, the spyshots of upcoming Honda Activa automatic scooter revealed few important details like absence of choke in front and presence of new kill switch. Looks like Honda 2 Wheelers is now getting prepared to release the updated Honda Activa scooter. 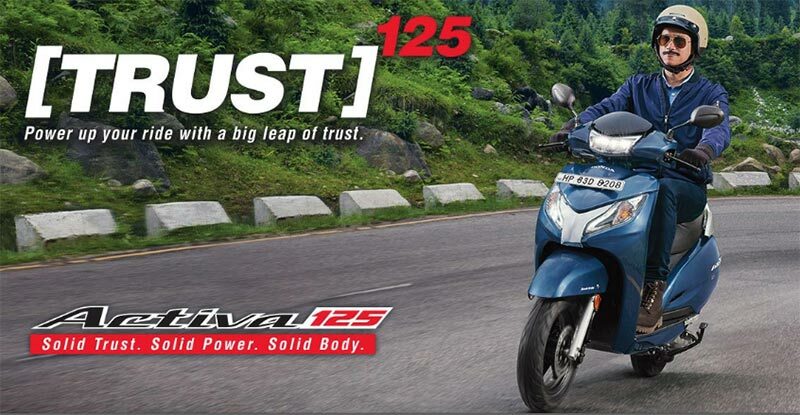 It is reported that the test variant of updated Activa was found at ARAI office, an agency that certifies fuel-efficieny/mileage of motor vehicles in India. In one of the interviews to ETAuto, MD of Honda 2 Wheelers had said that post BS6 transition in April 2020, the Indian 2-wheeler market will significantly grow and the company has room to claim the No.1 position in 2-wheeler segment which is currently taken by Hero Motocorp. The BS6 compliant Honda Activa will be equipped with Fuel-injection system. The BS6, FI powered Activa will increase the mileage/fuel efficiency of scooter by 10%. Say, the current ARAI certified mileage 60 Kmpl can boost upto 66Kmpl which is a good news. The BS6 FI Powered Activa will be priced Rs 2000 – Rs 4000 costlier than the existing model. Talking about the competition in scooter segment, Honda 2 Wheelers is leading the game by posting above 2 Lakh unit sales of Activa alone every month. However, Activa lost its No.1 position to Hero Splendor for 6 consecutive times recently. Meanwhile, Hero, whose primary focus is on motorcycles has successfully entered the scooters segment and has also captured significant market in 125cc scooter segment with the introduction of Hero Destini 125. The early introduction of Honda Activa with Fuel-Injected Engine with BS6 Compliance can give Honda 2 Wheelers a significant advantage in positioning itself well in the market and to maintain the No.1 position in scooter market. The competition from Hero Destini 125, Suzuki Access 125, TVS nTorq 125 can be well answered through the introduction of Honda Activa FI. Also read: Honda Activa 6G: Can this be an Electric scooter?